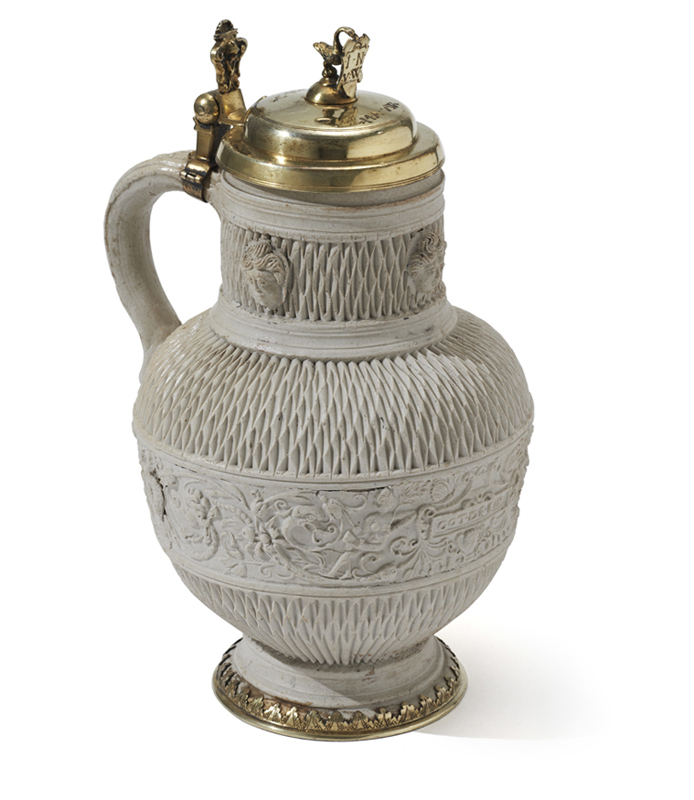 the Siegburg stoneware tankard with silver gilt mounted foot and hinged lid. Stoneware is clay that has been fired at an extremely high temperature, resulting in a hard body that is impervious to water. The Rhineland became a major centre for the production of stoneware from the thirteenth century, with workshops operating in Cologne, Frechen, Siegburg and Raeren. By the sixteenth century, these workshops were producing highly artistic wares applied with moulded decoration, embellished with political images, armorial devices and mythological and biblical scenes derived from contemporary prints.